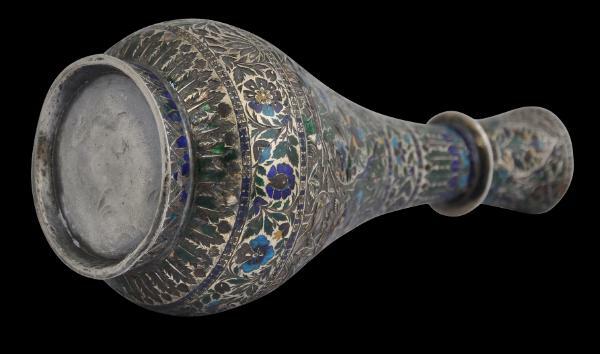 This fine hookah (or huqqa) base is of thick, high-grade, solid silver. It has an elongated drop shape. It sits on a low ring foot and tapers as it rises from a globular base. A thin, raised ring is about its neck after which the base flares slightly to a widened mouth. The polychrome enamelled decoration includes three main roundels decorated with Mughal-esque blooms including irises and stylised poppies, as well as peacocks and other birds. The decoration is non-repetitive and includes birds in a variety of poses. 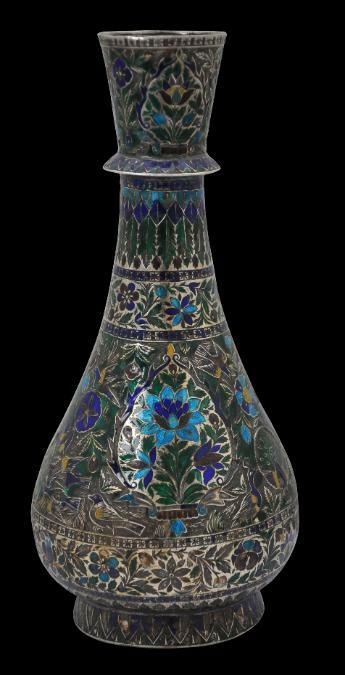 to see a related example sold at Christie’s London (lot 257, October 6, 2009), although smaller and with more enamel loss. The example here is in fine condition. 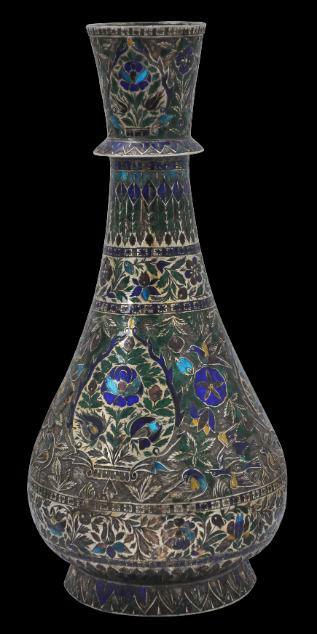 There is age-related enamel loss, but overall, the item is well proportioned and beautifully decorated. Gold, Silver & Bronze from Mughal India, Alexandria Press, 1997.